Summer Turnouts (Rainsheets) are the same as the heavier turnouts, just with the "No fill" or "Lite"option. 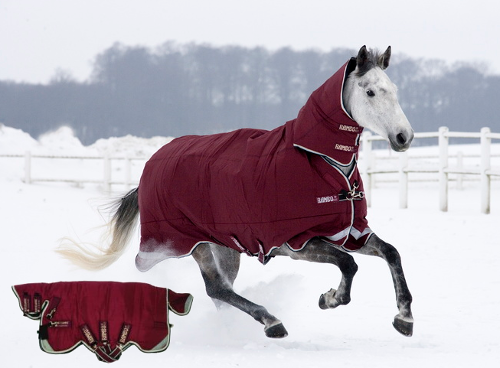 "Rambo turnout blankets are the best your horse can get. 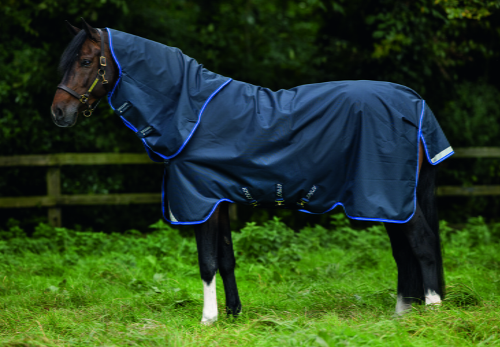 We stand behind out blankets with a 3 year guarantee on waterproof and breathability. No other company can give you that or the time tested quality of Rambo Turnouts. Not only do we stand behind our Rambo Turnouts, but the worlds top riders in every discapline do as well. These turnout blankets are made of ballistic nylon, the material that bullet proof vests are made from. The special structure of nylon allows our Aquatrans coating to bond to the nylon ensuring the coating will remain waterproof and breathable for much longer when compared to other materials such as polyester. 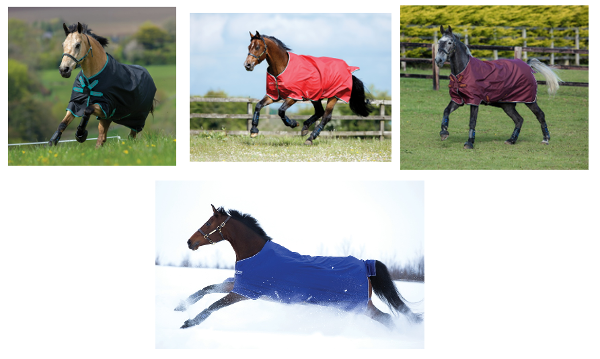 These blankets won't slip, won't rub and most importantly will keep your horse comfortable. The nylon polishes your horse's coat and saves time spent grooming. The horse's field or stable mate is probably the blanket's greatest enemy. The smooth shiny nature of the surface of ballistic nylon makes it very difficult for the horse to grab/tear the blanket. 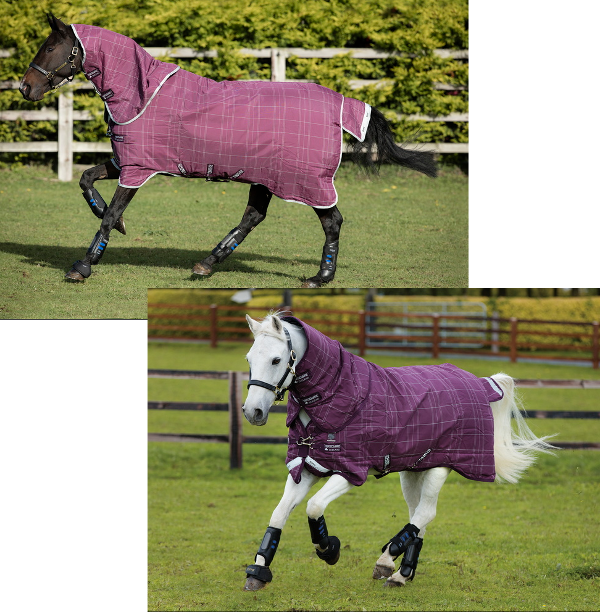 Horsewear is the only company to use this fabric in the manufacture of blankets." The Rambo turnouts come with a 3 year warranty on waterproofness and stainless steel hardware. -PVC covered elasticized tail chord: replaces the usual fillet strap. The elasticized PVC covered cord is easier to clean and more flexible which takes pressure off fittings and straps. -Removable surcingle: the velcro system allows for removal of the surcingles for washing or repair. -Chest trigger clips: fixed on an inward angle to ensure they are fastened correctly towards the horses chest. -Antibacterial Lining: eliminates bacteria, which multiply in the presence of dirt, moisture and heat. This can cause infections and allergies. Moisture Management: the hydrophilic nature of the lining will conduct moisture away from the horses' body where it will then be absorbed by Horsewears unique Aquatrans lining. In our ever-changing climate we find ourselves needing different weight rugs from one day to the next. 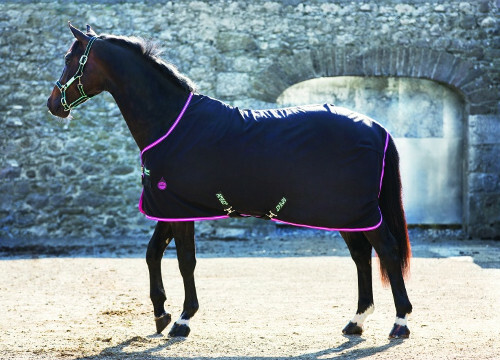 Horseware Ireland have recognized the need for a turnout rug that can cater for two jobs. I really like this blanket. It truly is 2 blankets. The outer can be used as an insulated rainsheet in the spring and fall, and the 300g underblanket added for the winter months. 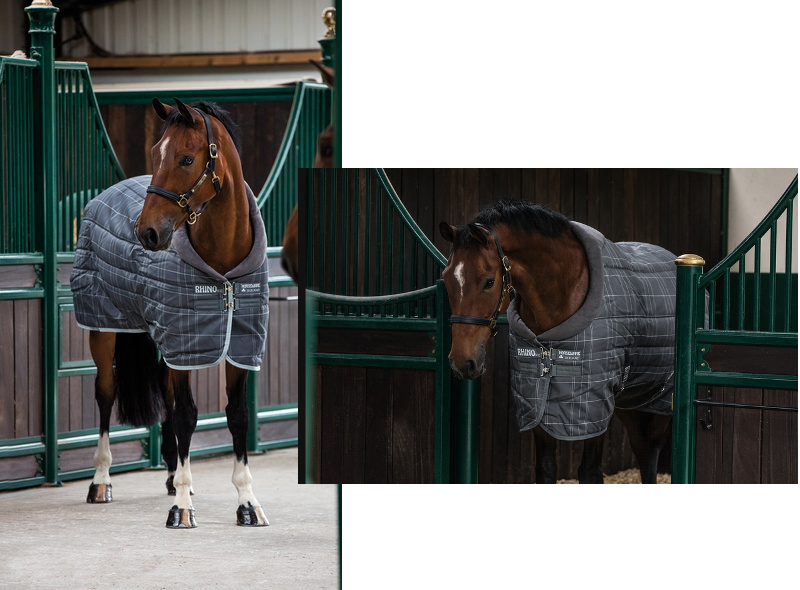 The Rambo Duo is a performance innovation from Horseware Ireland allowing your horses’ insulation to be adjusted quickly and easily whenever required. It has been created by redefining the world renowned Rambo Rug to make it dual functional. 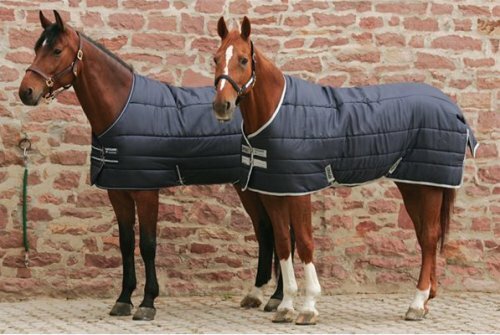 A simple yet technical rug, the Rambo Duo combines a 100gm Outer Rug and 300gm Under Blanket to provide a lightly insulated rug for those slightly chilly days and a Heavy Weight Turnout of 400gm for colder ones. The Under Rug is very easily and securely attached and detached from the Outer Waterproof Layer so that when attached to the Outer it does not slip. It is made entirely of Nylon and has the advantage of being extremely breathable allowing the AquaTrans coating on the Outer Rug to work as efficiently as it was intended, allowing up to 9 litres of moisture to escape daily. The Outer 100gm layer benefits from all the Rambo features with the toughest 1000D waterproof and breathable Ballistic Nylon Outer Shell, antibacterial and antistatic thermobonded fiberfill, unique Leg Arches and 3rd Surcingle, SureFit neck design, patented ‘V’ front closure system, reflective strips, tail flap, wipe clean tail chord and a removable 100gm neck cover. The ultimate year round rug package for all weather. Your light, medium and heavy weight rug in one! Includes 100g outer and 100g hood, 300g liner and 100g liner giving you the flexibility from a light, to a medium and a heavy rug. This rug offers the ultimate in versatility, breathability and warmth. The new sporty Duo rug for the warmer season. The ultimate time saver. 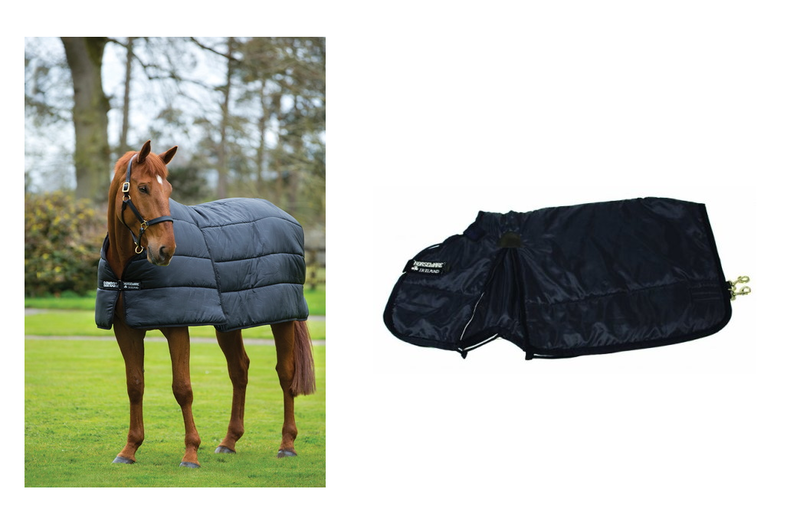 Includes a light 50g outer and a 50g hood, a 150 liner and an airmax liner for maximum breathability allowing you to put your turnout back on straight after work before your horse dries. 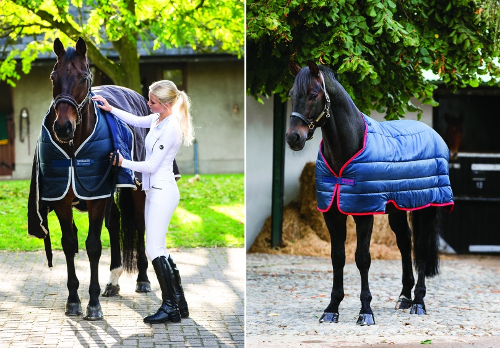 The package offers the ultimate in versatility and breathability for your horse. Includes all Rambo Duo features. Main image shows the Black with Orange & Black blanket. The lower left is the Black with Gold and Black with Black is on the right. The Rambo Supreme has a removable hood, which is easy to fit with its velcro closures .It gives increased flexibility, allowing you to adjust the level of coverage according to changing weather conditions. 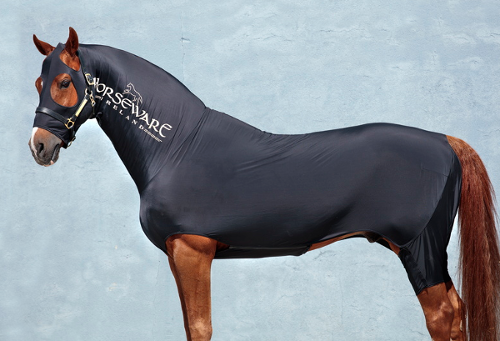 Horseware’s neck design accommodates all shapes and sizes and will give your horse the best possible fit possible. 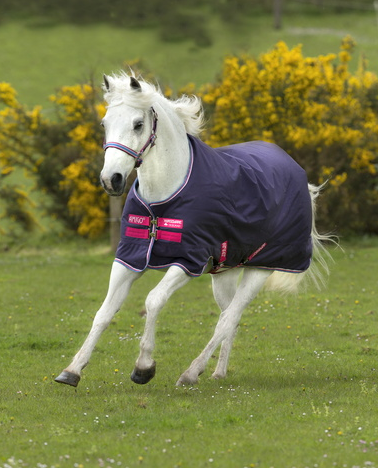 The Rambo Supreme incorporates Horseware’s unique, patented V front closure system. Instead of being horizontal, the top strap is at an angle and lies along the groove between the horse’s shoulder and neck. This “V” formation transfers pressure above the point of the shoulder, which lies between the straps, giving your horse more freedom of movement and more freedom to graze. 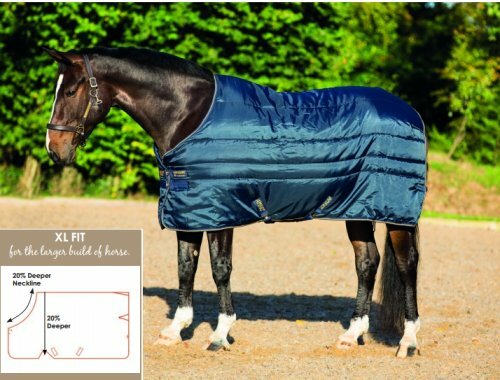 This revolutionary Turnout rug features innovative Rambo leg arches™ & 3rd surcingle, unique to Horseware Ireland, that allow the extra depth of the rug to contour to the horse’s shape without restricting movement. 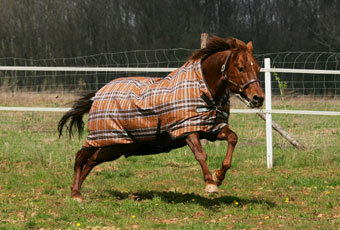 The Rambo Supreme is absolutely the best rug that you could buy for your horse. 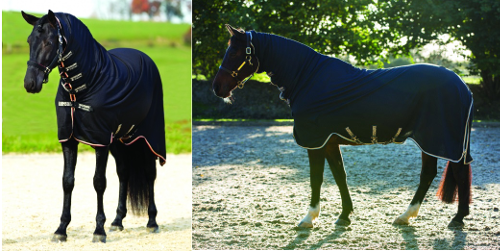 Reflective strip on the front, back side and tail flap of rug makes the horse easier to find in the dark. The Rambo range of Turnouts all have an incredibly tough outer shell of ballistic nylon, which gives them an unrivalled strength and durability. 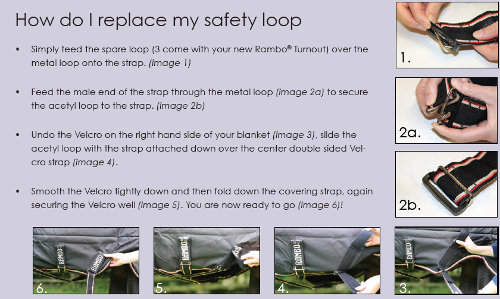 When properly looked after, your Rambo Turnout can withstand many years of use and wear. All Horseware rugs are designed with extreme attention to detail, creating rugs that stay put on your horse, no matter what! Horseware uses a hydrophilic coating technology called AquaTrans™ which ensures that your Turnout is waterproof, yet breathable. Thermobonded Fibrefill retains extra loft, keeping your rug warmer, longer. 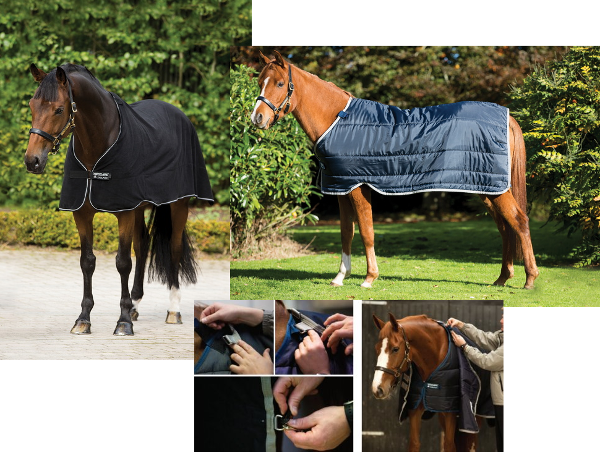 All Horseware Turnouts feature a breathable nylon lining, which reduces friction and polishes your horses coat. Vari- Layer increases fiber coverage across the back and hips to decrease heat loss. 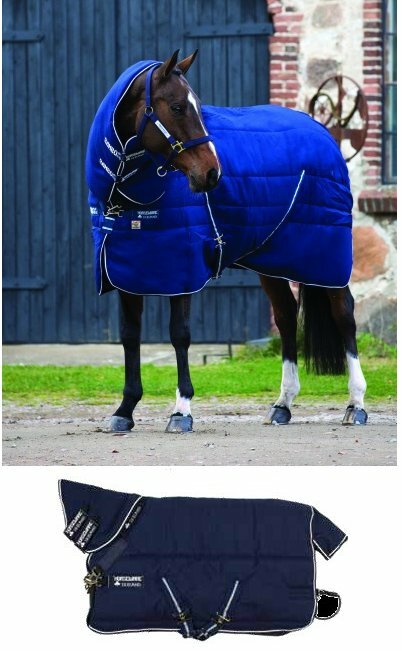 This layering of fiber allows the blanket to wrap more closely around the horse, trapping heat with less weight in the overall blanket. the effect of gravity compression on the blanket fill is lessened and the blanket stays fuller for longer. The addition to the supreme style with Vari-Layer technology for less weight and more heat. Ballistic nylon outer with thermobonded fiberfill, antibacterial and antistatic polyester lining. Tail flap, reflective strips, wipe clean tail chord, patented V-front closure system and leg arches as standard. Compatible with the liner system. 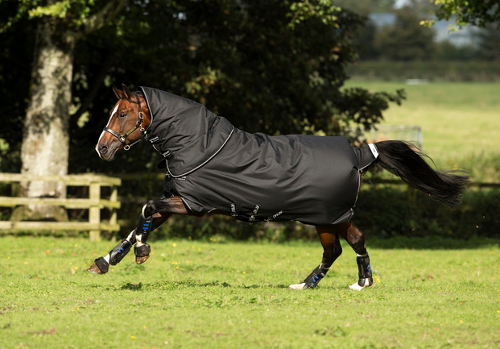 Extra protection, where your horse needs it! I am also a big fan of the Wug blankets. I realize a full neck rug provides more warmth, but find this a great convenience and compromise! Top left is Purple with Silver, the right Chocolate with Duck Egg & Black (currently not available) and the bottom three are Chocolate, Navy with Silver in the center and Purple . 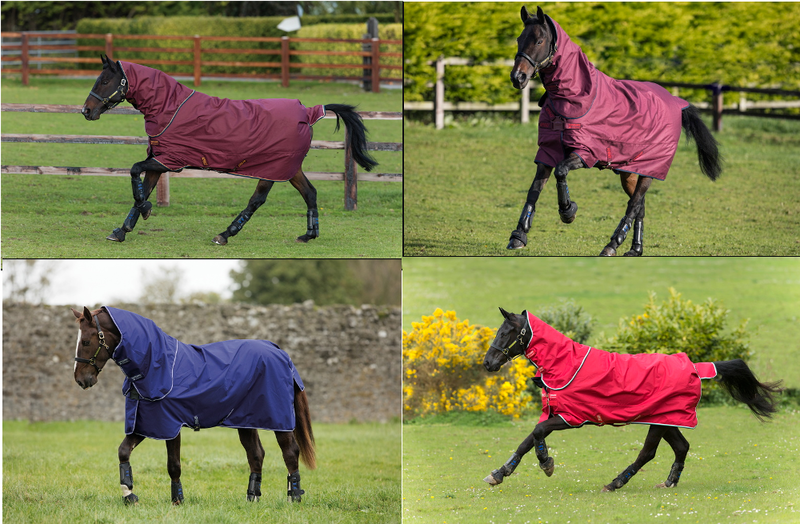 The Rambo Wug is a dramatic rug design combining the best features of the popular Rambo Turnout with innovations developed by Horseware Ireland. While trying to develop a neck warmer that really worked, it dawned on us that we were throwing away half of what we were looking for every time we cut the neck out. So we decided to leave it in. 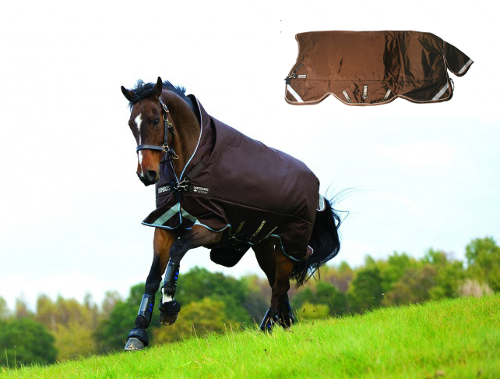 The Rambo Wug incorporates a neck warmer into the blanket, which retains warmth and keeps out rain – yet allows the horse enough freedom to graze. 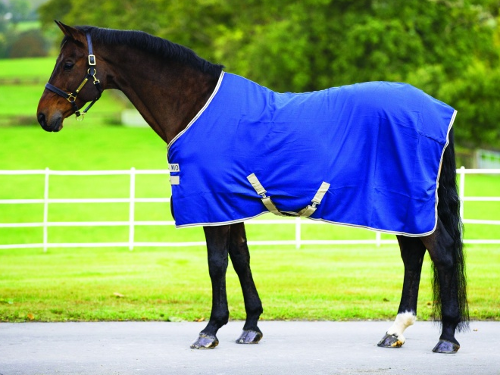 This extra cut of the blanket means that more of your horse is covered – keeping him warmer, drier, and cleaner! This high cut design gives a snug fit and eliminates wither pressure. 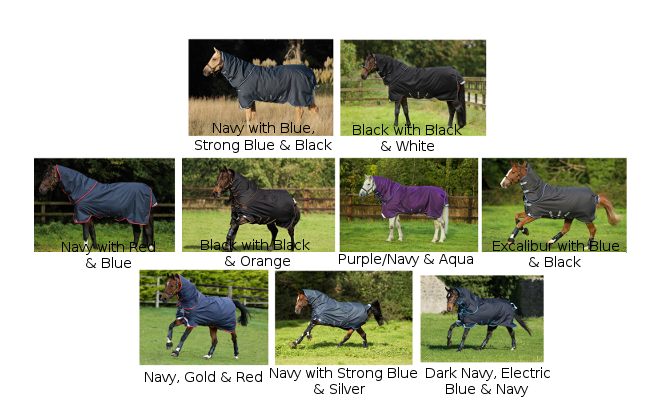 • Reflective strips mean horses are safer and easier to find! • 3 YEAR WATERPROOF AND BREATHABILITY GUARANTEE! Not compatible with the liner system. More warmth, less weight with this high neck wug! The strongest and most durable turnout material on the market. 1000D ballistic nylon waterproof and breathable outer, using Vari-Layer technology and thermobonded fiberfill with anti-static and anti-bacterial shine enhancing polyester lining. 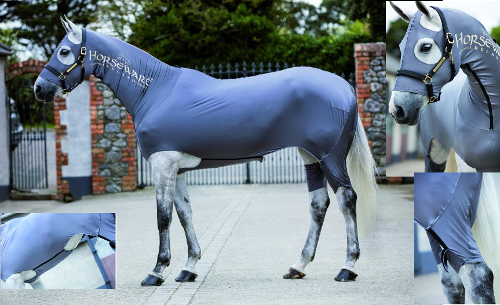 High cut neck design to give a snug fit and eliminate wither pressure, with V-front neck closure to give freedom of movement to graze, leg arches, wipe clean tail cord, reflective strips, three secure cross surcingles and shine enhancing polyester lining. Vari-Layer technology uses additional layers of thermobonded fiber across the back and hips for the ultimate in heat retention and comfort, less weight. A true winner! 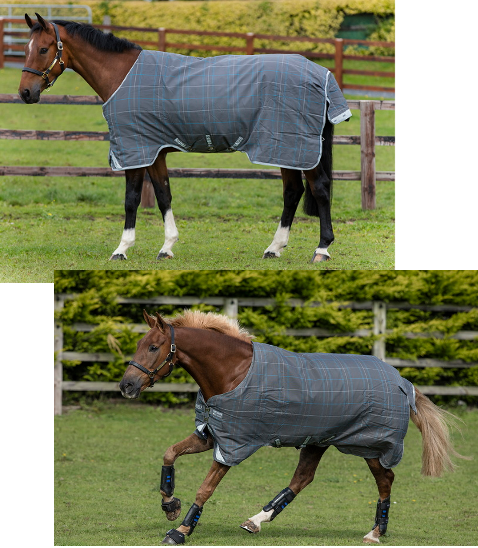 Developed by Horseware in 1985 as a testimony to the idea that it is possible to make a blanket that is truly waterproof, doesn’t move and is light and comfortable for the horse, the classical design of the Rambo Turnout has formed the basis for Turnout rug design world-wide. The Rambo Optimo has been designed to follow the horse's movements with the introduction of the Articulated Pivotal Dart. The Dart is positioned at a crucial point of the horses anatomy; the 6th vertebrae at the base of the neck. This allows the front and back of the blanket to move independently. The front of the blanket is free to pivot, extend, turn and float with the shoulder while the back of the blanket will sit firmly in position. Designed for a narrow built horse. 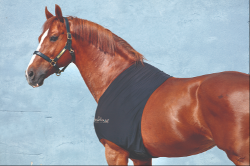 It's seamless, one weight design prevents mane rubbing and is perfect for thin skinned horses. Fully integrated neck design with V front closure, to give freedom of movement to graze. 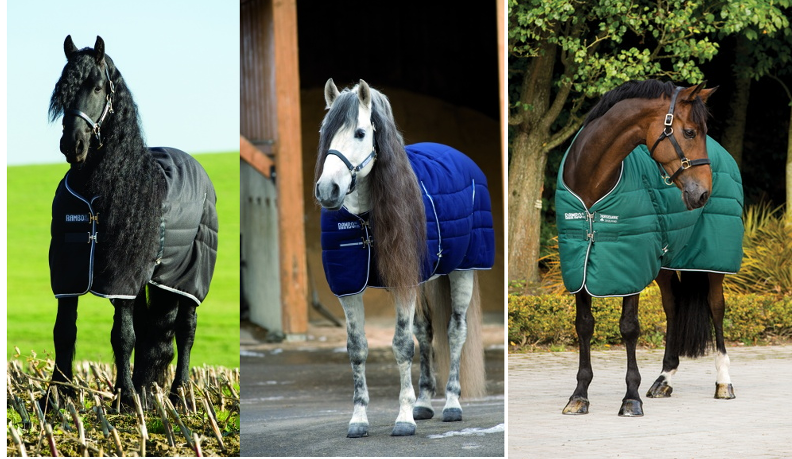 The ultimate trans-seasonal turnout for mild climates. Top picture depicts the Summer Series Turnout in Grey and Burgundy. Middle left shows the Grey with Blue & Navy blanket and the right is Navy & Grey with Navy. The bottom pictures show the unique liner system, hood loops pn outer layer and front closures. 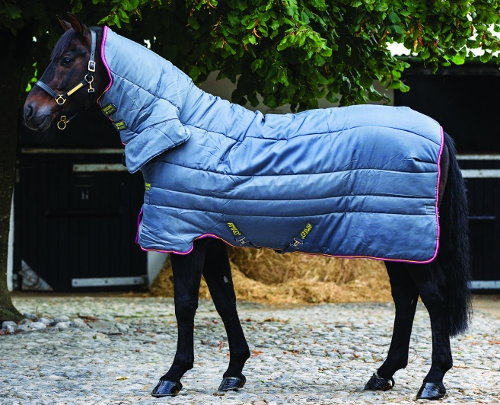 Polyester mane lining and removable 620g fleece liner. With a fully reflective drip strip using our Night Rider technology to keep your horse safe from dusk till dawn. 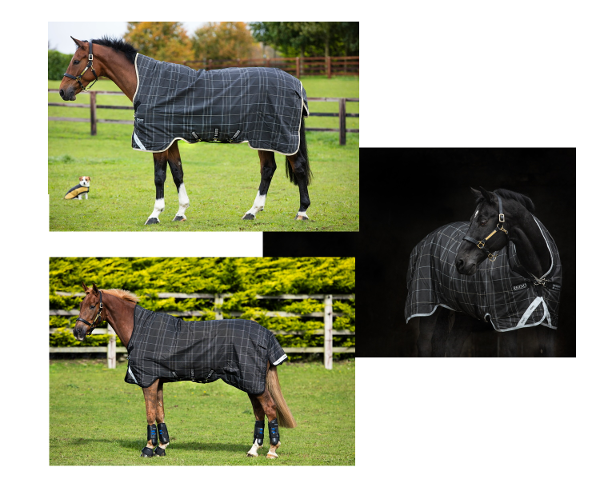 Rhino blankets have many of the design features of the Rambo range but with a different outer shell material that provides great value for your money. Rhino Turnouts are made from 1000 Denier polypropylene, which is 50 - 100% stronger than the coated polyester used in the majority of turnouts. While it is not as strong as the ballistic nylon of the Rambo Turnouts, it offers your horse effective protection from the elements. The Aquatrans coating is applied to the barrier layers. 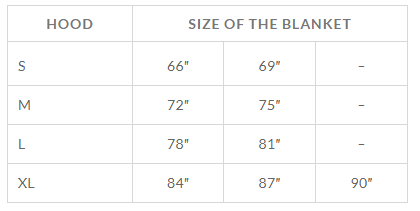 Even if the outer fabric is damaged, the inner waterproof and breathable layer remains intact. Top left shown in Black/Grey/White check and Safari Trim; bottom left with Black trim and Gray trim on the right. The Rhino Wug is an award-winning design and is a real eye catcher! 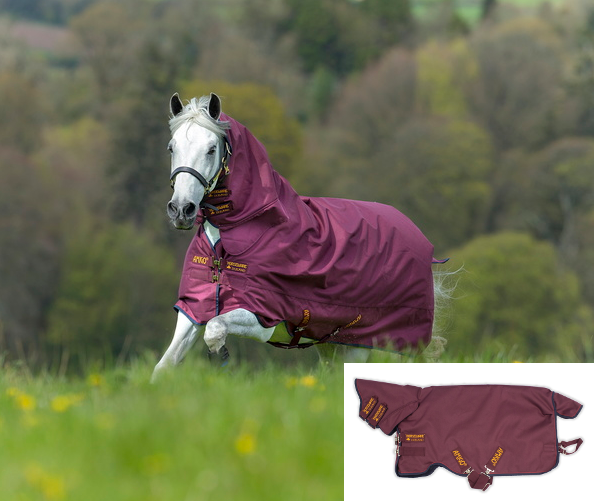 This Waterproof and Breathable 1000 D Turnout with unique barrier technology has a high cut neck acting as a neck warmer which retains warmth and keeps out rain – yet allows the horse enough freedom to graze. With the patented ‘V’ front closure system of the Rambo Wug that transfer’s pressure above the point of shoulder, the Rhino Wug offers value for money that is really tough to beat! The patented front leg arch allows the Rhino Wug to be wrapped deeper around the belly without causing restriction behind the elbow which ultimately can put pressure on the shoulder. 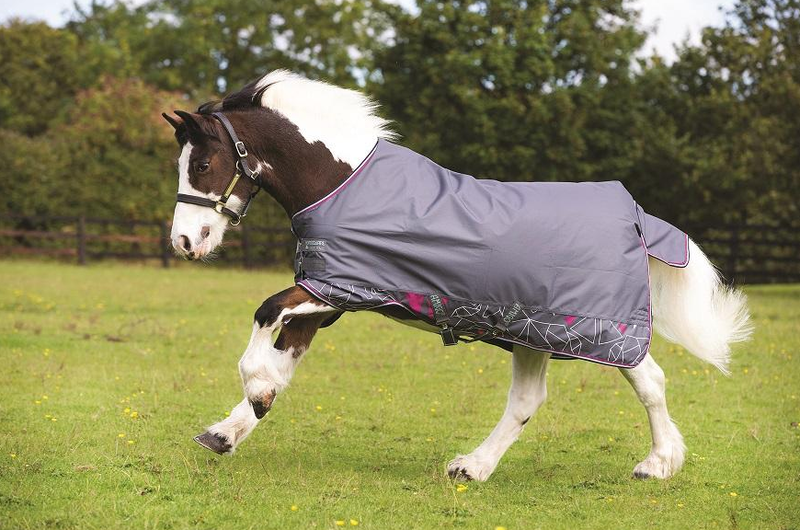 The Rhino Original uses the classic Rambo Original cut that has been tried & tested by horses for over 15 years and with a patented front leg arch the rug can be wrapped deep under the belly for added protection without causing tightness around the elbow. Double front closures, leg arches, reflective strips, hood and inner loops, cross surcingles and shine enhancing polyester lining. 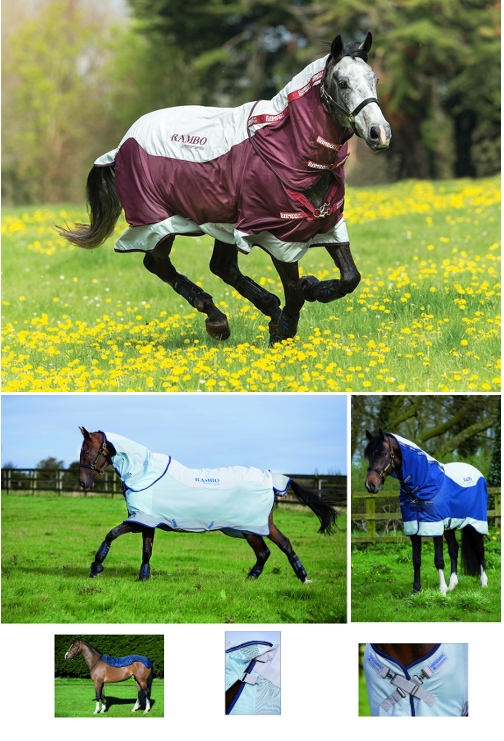 If you want to keep your horse well covered without breaking the bank, you will love the Amigo Turnout Rug from Horseware Ireland. This fabulous rug has all the features you would expect from a rug in this price range but with that little extra that comes from being a member of the Horseware family. 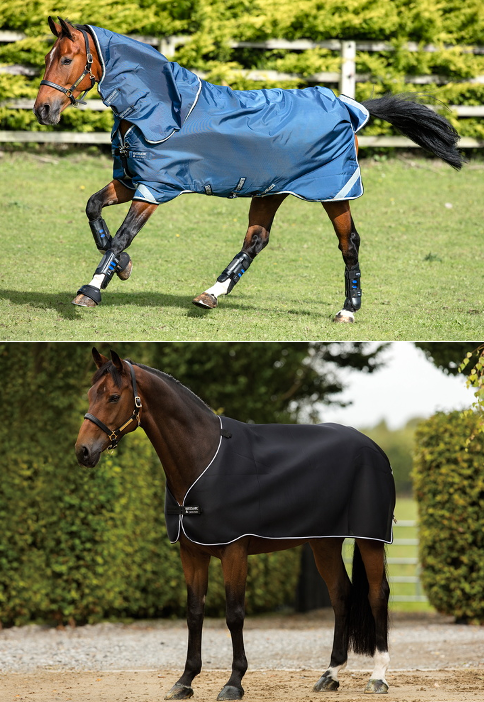 The Amigo comes with the patented Front Leg Arch which allow the Amigo to be wrapped deeper around the horse’s shape to give that need extra coverage and protection from the elements. The Amigo Turnouts are fully Waterproof and Breathable with taped seams and a breathable nylon lining and made from tough 1200 denier Polyester you will find it hard to beat! This system is easy to use and incorporates the 4 V-front closure points in a lighter, more flexible design. 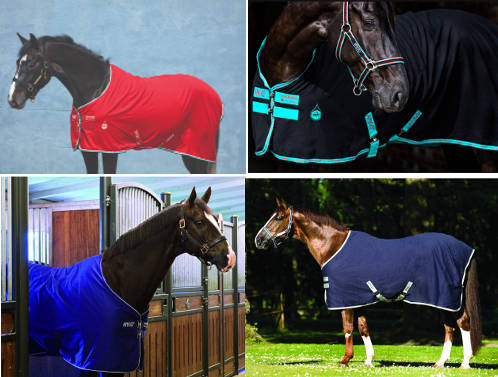 The non-corrosive and streamlined design of the Horseware Disc Closure System can be produced in a wide array of colors, and it can be closed with one hand, simplifying the chore of changing blankets. Value and durability in one! 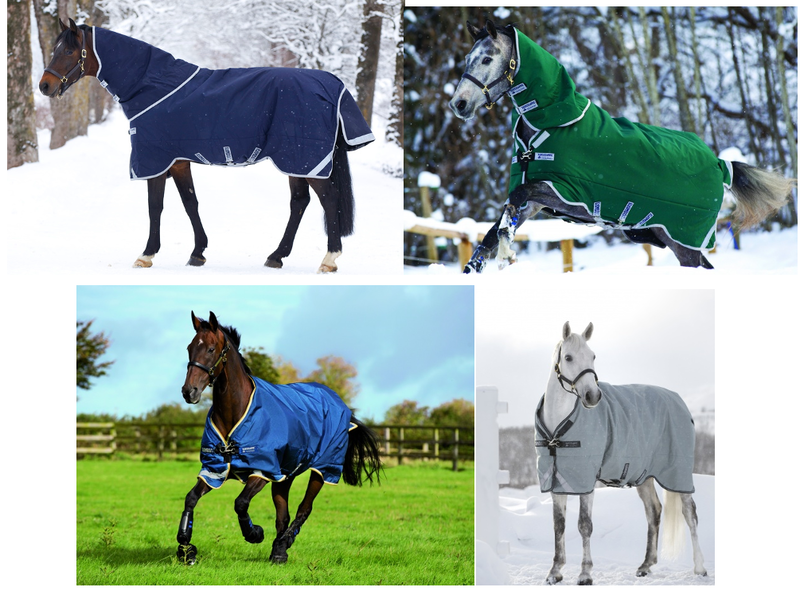 Your choice of thickness required to keep your horse protected in cold weather. Great fit and style with neck cover sold separately. 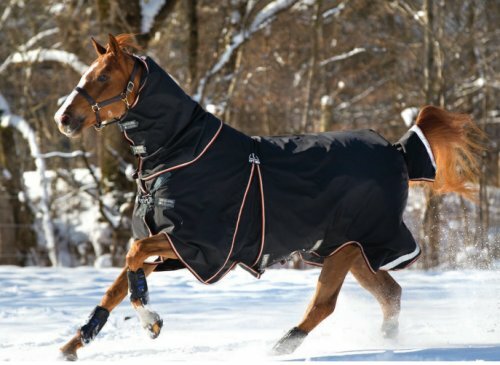 Horseware's Amigo Plus waterproof and breathable turnout blanket will keep your horse dry, warm, and comfortable. Our classic Euro-Cut and no slip design with two criss-cross belly surcingles and tail strap keep this stylish turnout in place. Horseware's patented front Leg Arches allow freedom of forward motion as it prevents extra fabric from gathering around your horse’s front legs while he moves. Strong 1200 denier outer shell with inner nylon lining. A seamless all-in-one design for maximum security and comfort! High cut neck design and V-front closure for a snug fit. 1200D waterproof & breathable polyester outer with shine enhancing polyester lining. Now with third surcingle and leg arches. 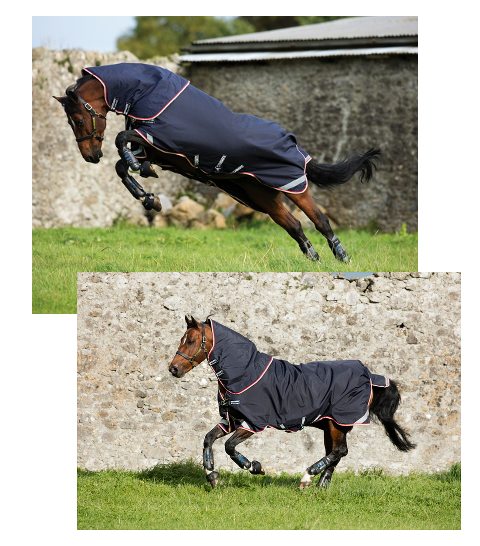 Designed to meet the very specific requirements of all larger horses, such as warmbloods and draughts. Provides added comfort and freedom of movement for the bigger built horse, with extra depth in the neckline and an extra deep drop for increased belly coverage. Waterproof and breathable, 1200 Denier, polyester outer, coat polishing polyester liner, straight front closures, patented front leg arches. 20% deeper neckline and 20% deeper body. 1200D polyester twill outer: the super strong twill outer fabric, waterproof and breathable and extra durable to withstand the toughest of weather. Comes with the sure fit design, V-Front Closure, leg arches, reflective stripes and wipe clean tail chord. 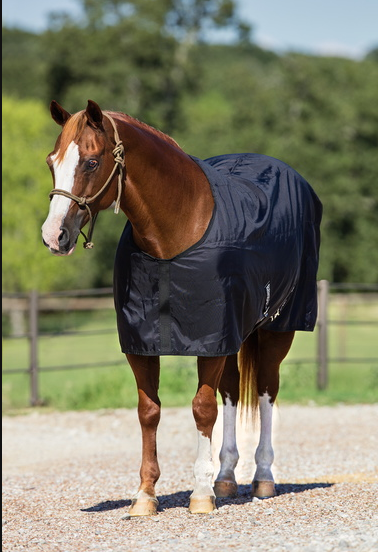 Horseware's Amigo® Hero 6 waterproof and breathable turnout blanket will keep your horse dry, warm and comfortable. Our classic Euro-Cut and no slip design with two criss-cross belly surcingles, straight front closures and tail strap keep this stylish turnout in place. Horseware's patented front Leg Arches™ allow freedom of forward motion as it prevents extra fabric from gathering around your horse’s front legs as he moves. Durable 600 denier outer waterproof shell with inner nylon lining. The Amigo Hero range now utilises Air Conditioned Yarn (ACY) which is a major improvement in yarn technology. 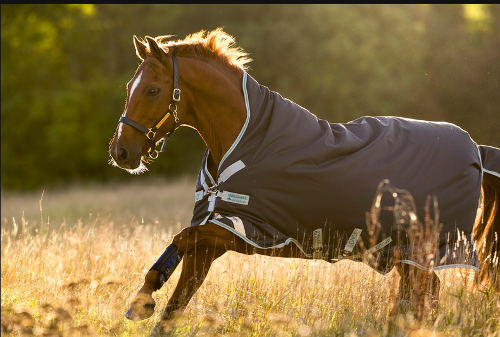 The process involves the fabric being air blown which gives a tighter weave using less yarn and results in an incredibly durable, breathable and lightweight blanket for your horse. This powerful revolutionary new fabric is extremely durable. 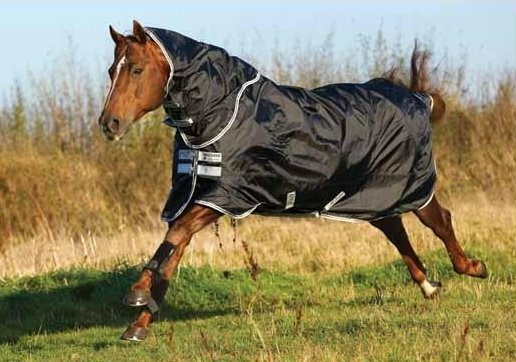 Its lightweight air conditioned properties result in an extremely lightweight and breathable outer to keep your horse dry. 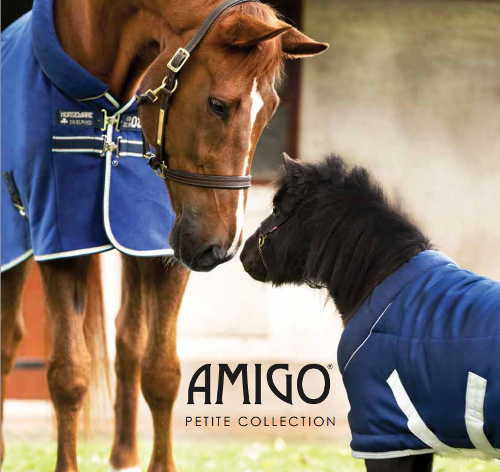 Amigo Hero ACY Pony Sizes 45-69"
Strong and durable 900D Air Conditioned polyester yarn. 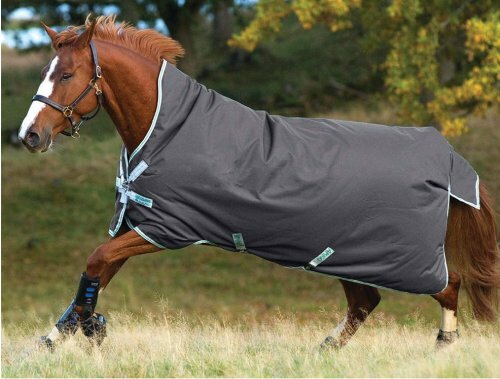 This blanket features the all-in-one design with the same fill from tip to tail and no seams to rub the horses neck. Features: Cut to fit the larger horse with a more generous neck and optimum dart placement, double front closures, front leg arches and cross surcingles. 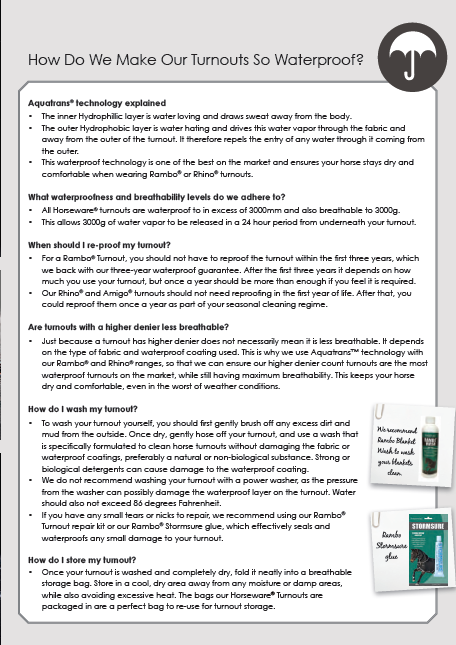 Suitable for foals from birth, for indoor and outdoor use. 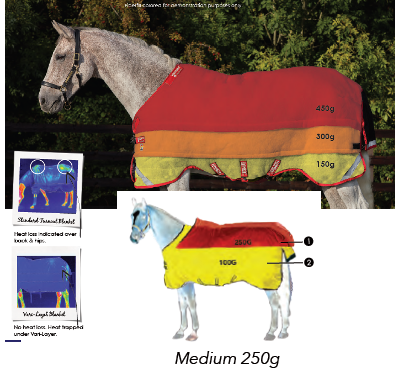 Unique innovative adjustment system allows the blanket to grow with your foal. 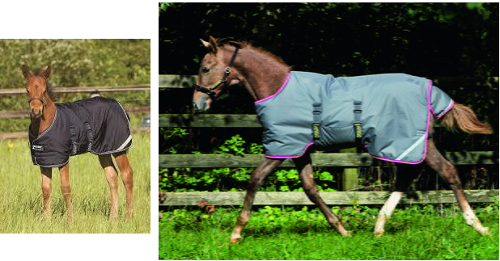 Contoured belly arch and flap allows for a snug fit to keep the foal warm while assuring your peace of mind. A 600D outer, 200g acrylic fill, reflective strips, polyester lining and Velcro fastenings. 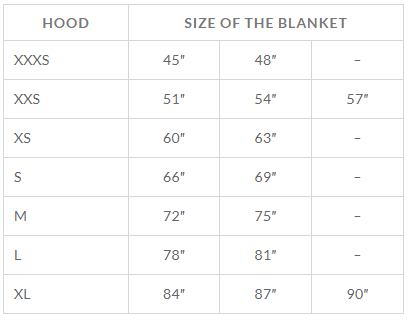 By expanding the front and side adjustments, the blanket can expand by approximately 6" in length. Sizes: 30-36", 36-42", 42-48", 48-54", 54-60"
The Horseware Liner System is compatible with the Rambo Duo, Rambo Supreme, Rambo Original, Rambo Stable Plus, Rhino Original turnout, Rhino Plus Turnout, Rhino Stable Original, Rhino Stable Plus and the Amigo Bravo 12 turnouts. 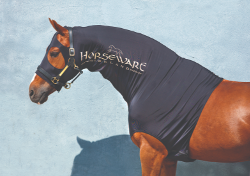 The Horseware liner allows you to choose the level of fill needed for your horse in variable weather conditions. 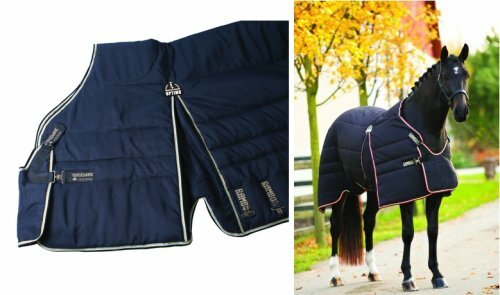 The breathable Horseware Liners attach securely to by Velcro loops to the neck area of the outer blanket, and clips onto the back corners to prevent the liner from slipping. A single front strap and no surcingle for easy on and off. Choice of 100g, 200g, 300g, and 400g. Breathable liner to attach to the Rambo Optimo. Polyester outer and lining, single front strap, no surcingle. Incorporates Split technology. Attaches to the blanket with a Velcro loop attachment around the neck area and clips in the back corner of the outer blanket. The attachments prevent the liner from slipping under the outer blanket. The Vari-Layer liner adds more warmth with less weight for all your liner compatible blankets. 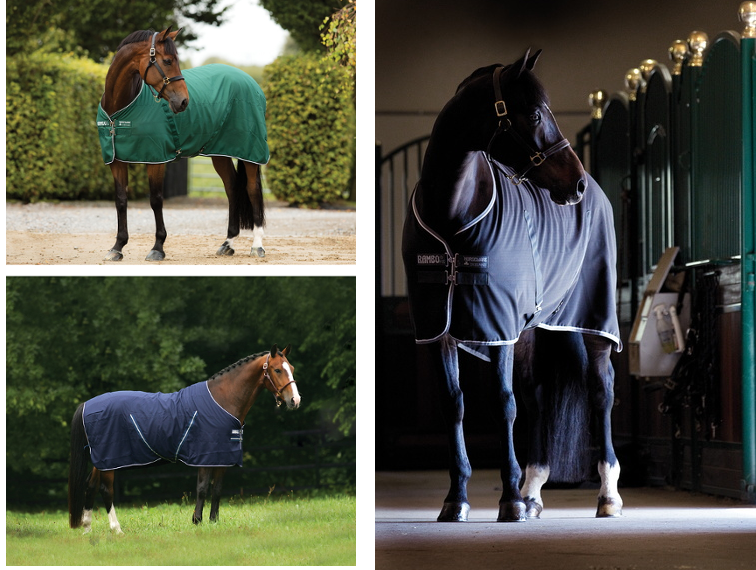 A simple system, Horseware liner give your blanket superior insulation properties without the need for 2 blankets. It can be easily washed in a domestic washing machine. The best of both worlds. The Rambo Ionic liner gives you the benefit of Ionic technology with the liner compatible blankets. You can now easily integrate an Ionic layer for the colder weather with this addition to the collection, including thermobonded fiberfill for longer lasting heat retention and quick clip closures. 210T polyester outer and lining. Made with 1000D ripstop polyester outer with layered thermobonded fiberfill and microfiber lining. Vari layer technology uses additional layers of thermobonded fiber across the back and hips for the ultimate in heat retention and comfort with less weight. Surefit neck design, wipe clean tail cord, tail flap and cross surcingles is standard. Features Split technology and an innovative front piece to prevent rubbing on the underside of the neck. 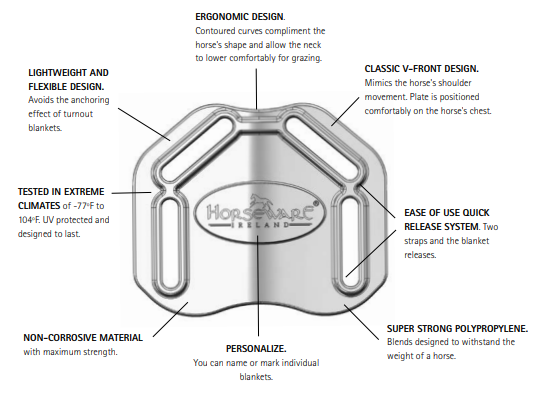 This is adjustable for deeper necked horses and prevents any issues with rubbing on the front buckles when stabled. The pad on the withers lifts the blanket from the mane preventing mane or wither rubs. 1000D ripstop outer and polyester lining to shine the coat with a 400g fill. Includes detachable large hood with generous ear and eye holes, elasticated hood connections for maximum movement and comfort, super wide tail flap and detachable waterproof tail bag. 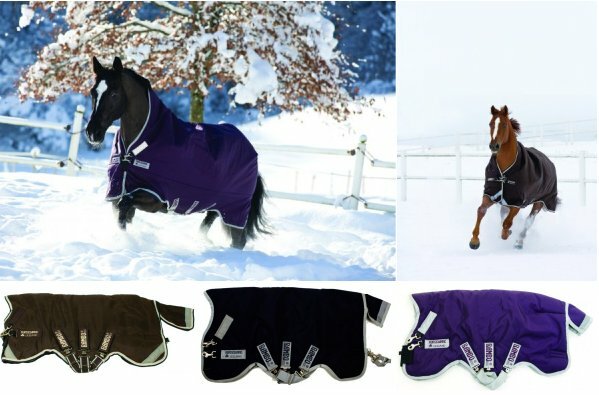 Made from luxurious quilted fabric with a lightweight fiberfill to keep your horse warm and cozy, with shine enhancing polyester lining to keep you r horse looking at its best. Features cross surcingles, adjustable multi fit front, hood loops and secure Velcro hood closures. Improved comfort for the stable. -Classic cut design with double front closures. 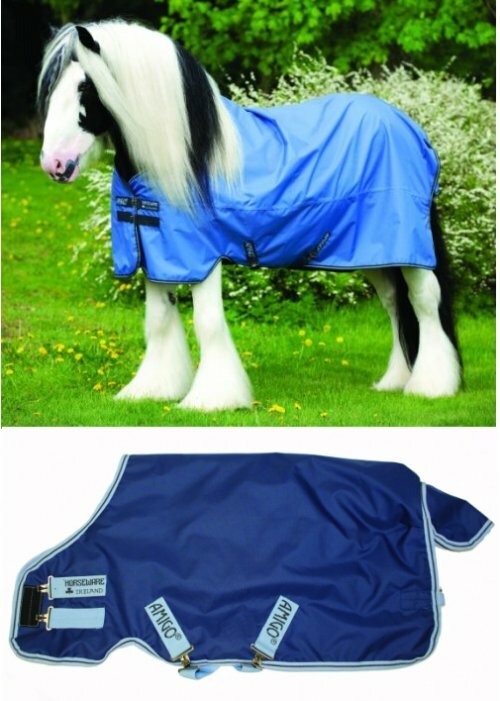 -Updated to feature a cosy fleece collar around the neck, integrated wither pad to lift the rug which aids in preventing mane or wither rubs. -Fillet string, cross surcingles and shine enhancing polyester lining. -Thermobonded fibrefill for superior and long lasting heat retention. Durable 600D Polyester outer, layered fibrefill inside and polyester lining. 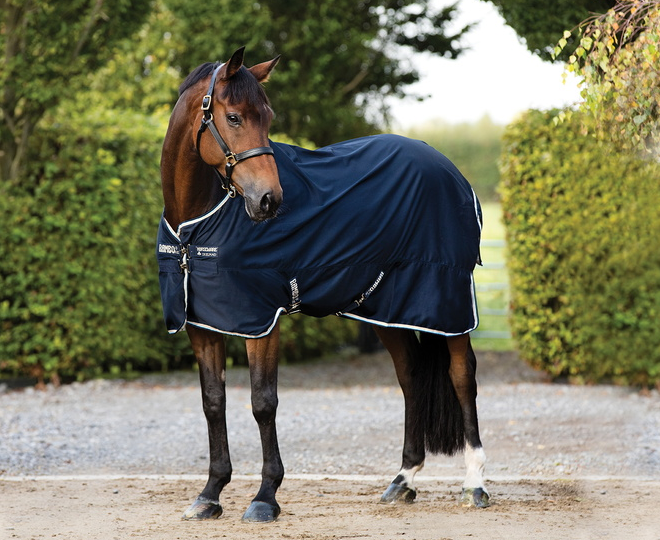 With our classic cut design this rug features the Horseware Vari-Layer technology giving you more warmth with less weight with shine enhancing polyester lining. Detachable hood included with "Plus"
Polyester Lined, Classic original cut. 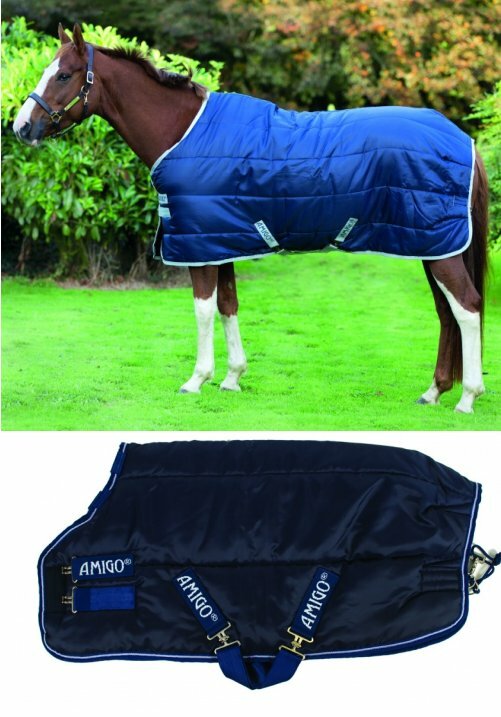 Part of the Amigo XL range for the larger build of horse to complement the Amigo XL turnout. With 210D ripstop outer and polyester lining. Designed for a narrow build of horse. 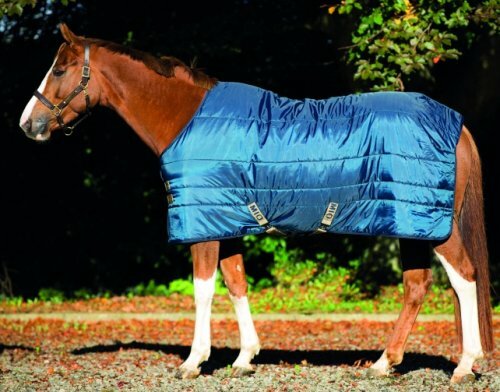 Its seamless, one weight design prevents mane rubbing and is perfect for thin skinned horses. Durable 210D ripstop polyester outer with polyester lining. Seamless one piece design, same fill from tip to tail. Front leg arches, cross surcingles and shine enhancing polyester lining. 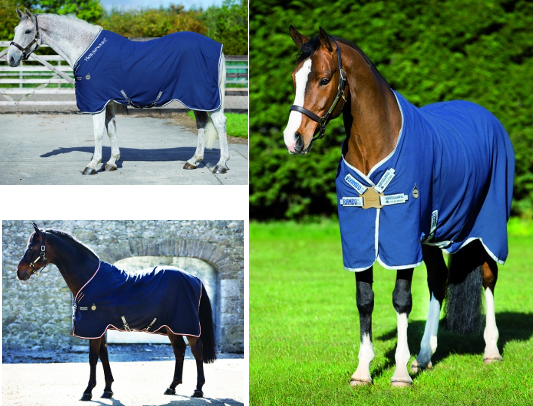 The Mio stable blanket with polyester outer and lining. Now with a double front closure. 1000 denier polyester outer with a Microfiber lining. Classic original neck cut. Extremely tough and durable. Incorporating the Rambo Split technology, and the innovative front piece to prevent rubbing. Raised wither protection pad and shine enhancing polyester lining. 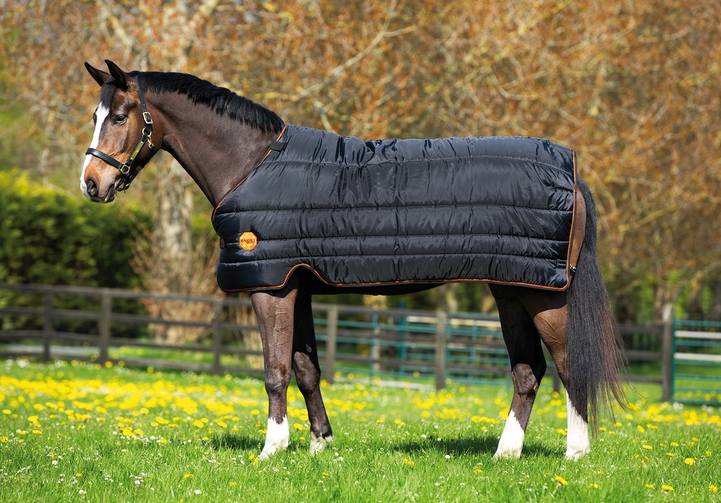 The ribbed polyester fabric of Dustbuster saves you hours of grooming by cleaning your horses coat as it moves. Textured fabric lifts dirt and loose hair away from the coat and through the fabric to the outside to give you a show ready finish without he elbow grease. The all-in-one design with silky lining on the shoulder and mane to prevent rubbing. High wicking cotton sheet ideal for use in stable to keep your horse comfortable and wick away moisture or sweat whilst keeping them warm. Classic cut, front leg arches, double front closures, wipe clean tail chord and tail flap with cross surcingles. Great addition to the Mio line,the stable sheet is cut in the classic original Horsewear shape with silky shoulder lining for comfort. Crisscross surcingles. Closed front for ease of use with no buckles. Designed to suit the shape of a ranch or stock horse. Helping you maintain the show ready look! -Full body slinky including face and neck cover made with stretch lycra fabric including anti-static treatment. 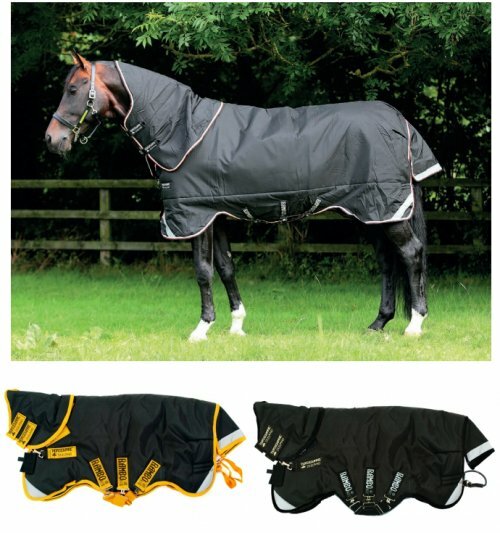 -Featuring an under chest/belly flap and hind leg coverage to aid in keeping the horse clean. -With a front leg arch for a comfort fit. -Zip closure on neck and belly flap, Velcro closure on leg covers. Lycra stretch outer and anti-static treatment. Under chest and front leg arches. Lycra stretch outer with anti-static treatment. Zip closure on belly and chest. Measure from mid chest to mid tail. 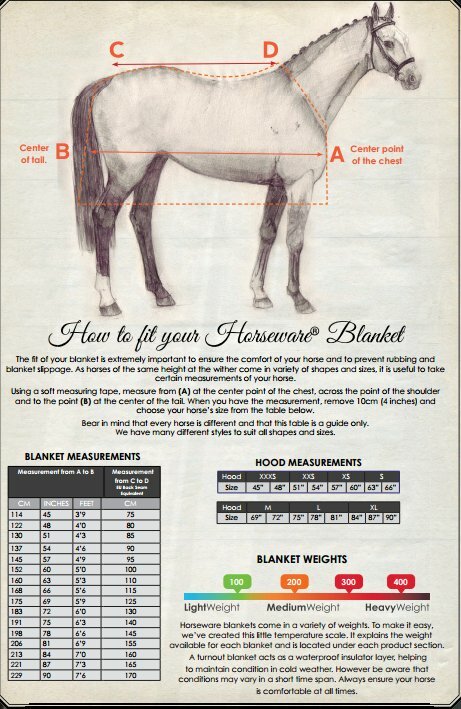 For turnout blankets subtact 4"
For stable blankets subtract 7"
Your horse will take 1 size larger for the turnout compared to the stable blanket to allow for extra room for movement outside. Makebsure the tail chord is done up short enough so that the horse won't catch a hock on it while moving. Also the surcingles should be done up allowing 4 fingers between them and the horses belly. This ensures the horse cant get a leg stuck in a loose surcingle. Vari layer is the layering of thermobonded fiberfil to gain maximum heat retention without the heaviness of a standard fill. More warmth with less weight. Horses tend to lose body heat through the back as indicated by the thermal scan on the upper lower left. The bottom picture shows the decrease in heat loss with the vari layer technology. The Rambo Safety Surcingle system is the system used on Rambo turnouts to provide you with piece of mind during turnout. It is made of 3 straps which in an emergency will break away at one end while staying attached at the other. You can then quickly replace the acetyl safety loop, or if you have forgotten your spare loop, reattach with the metal loop on the strap affected to secure the blanket. 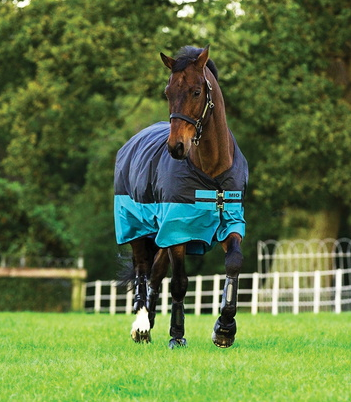 This system means less damage to the blankets or in an emergency, and is a safer option for your boisterous horse. The Safety surcingle system means that you can remove your straps during washing, reducing damage to the drum of the washing machine. The straps can then be hand washed separately before replacing back on your blanket once the blanket is cleaned.